Just when you thought The Twilight Saga: Breaking Dawn - Part 2 couldn't possibly be any more awesome (right?? 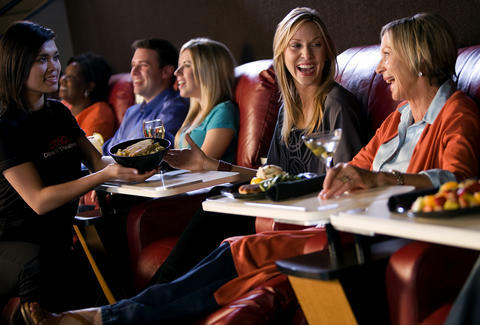 ), AMC goes and opens its first-ever Cali Dine-in Theatres in Marina Del Rey. They're just like normal theatres, except they'll deliver 56 food items and a full bar's worth of drinks (including Oreo Mudslides and draft beers), straight to your seats.